As I contemplate and reflect on the passing of the great icon of humanity, NELSON MANDELA, I keep on asking myself a simple question. How many of these people pouring out great encomiums and eulogies to his greatness will truly stop and allow his life to shape their next decisions? How many will even attempt to step up and fill his shoes? How many will hang on to power for dear life? How many will seek revenge and kill their adversaries? How many will be magnanimous and pardon those who have offended them? So I decided to write this elegy. I published it a day ago, but on seeing the gathering of world leaders today in Johannesburg, i thought to myself, this elegy deserves another day on the blog. These were the words that came to me as I contemplated a world without Nelson Mandela. A world without Madiba. Thanks Ronke. God help us! Thanks you for sharing this it is beautiful! However, I feel sad and annoyed at the same time. 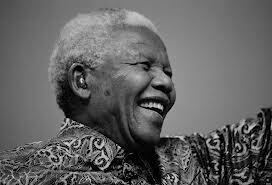 Soon after his death I was told about a story of a child who asked his mother who will replace Mandela, who do we look up to next? I have heard this question many times since. I am sad about his departure and but also annoyed that we so often we look and seek others to rise up, it is like seeking a leader, seeking a King. Instead, I would rather people seek their own hearts to see what they/we can do to make a difference to mankind. To be a leader for others, to be noble and to help our neighbour and so on. If we can learn anything from Mandela is it is be a better person. As for me – I lift up my eyes for where my help comes from..
Well done Pastor Charles. there is surely no free lunch when it comes to our actions in life. gone are the days when we can deny that we dont know the right things to do. the life of of great people like Madiba and others are set for us as instructive examples. also there are those that equally serves as a warning. it is now up to us to choose.